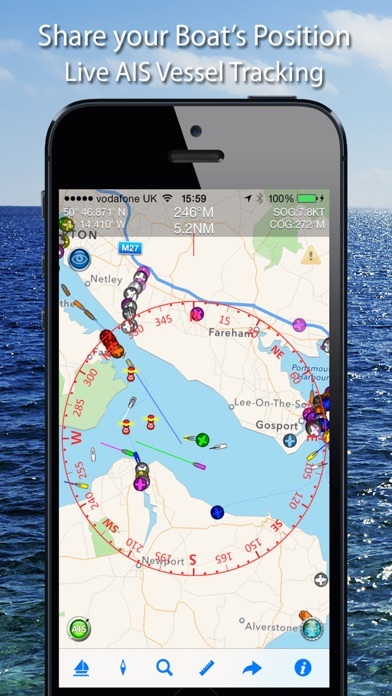 Boat Beacon is an AIS receiver for your iPhone and iPad. It is the only AIS ship tracking app to provide Collision Warnings, share your boat’s position and use real-time AIS data. Connected to the largest network of AIS shore receivers world-wide covering most major ports, harbours and popular coastal areas. “An outstanding app, with great potential. Both interesting to use and very user friendly. This could be a life saver and especially of interest to small boat users. 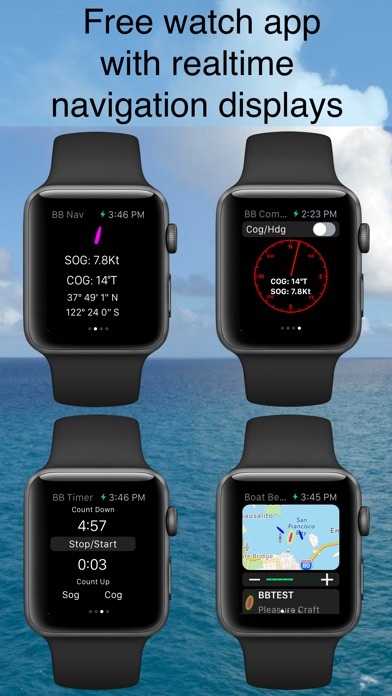 Everyone who goes on the water should have this on and use it!” ***** Sun Dream, App Store Review Boat Beacon is specifically designed for boaters and is the only app that provides continuous Bearing, Range and Closest Point of Approach (CPA) calculations and alarms in addition to standard AIS information. 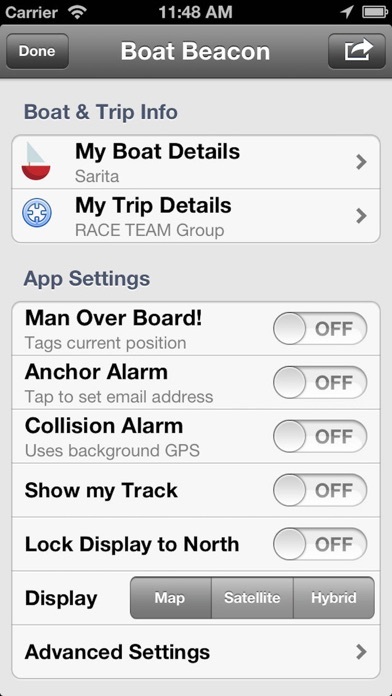 Boat Beacon continuously monitors CPA, notifying if potential collisions are detected even when the app is running in the background as you use your iPhone or iPad for other tasks. Boat Beacon does not require any external AIS transponder or receiver equipment. 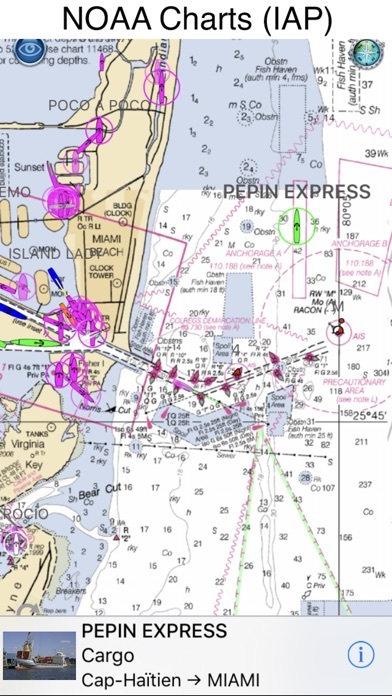 Key Features ------------ Over-the-horizon collision avoidance (30 miles radius) using continuous CPA calculations - highlights boats that are on a potential collision course and alerts you with an alarm. Continually transmits and receives position information via the internet and calculates and alarms CPA even when the app is in the background. 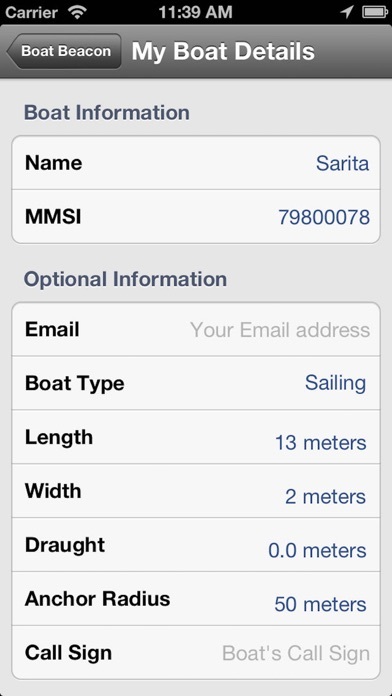 Shares your position with Internet AIS Systems and apps and other Boat Beacon users in real time. Real time Ship Map view with North up and Heading up modes so you can look in the direction of the ships on the map to locate them. 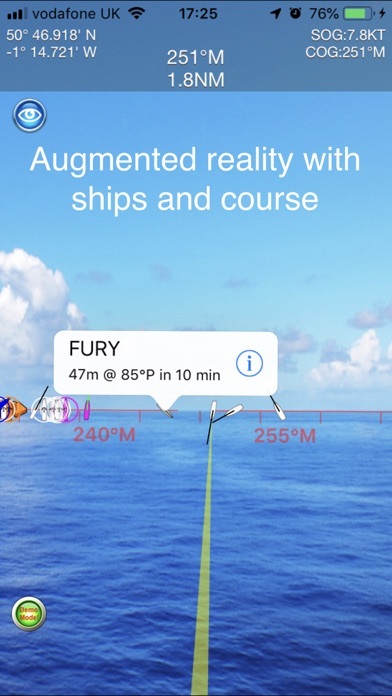 HUD showing own boat's speed, course, heading and position. Man Overboard tracking, SART Alarm, Anchor watch and Theft alarms. 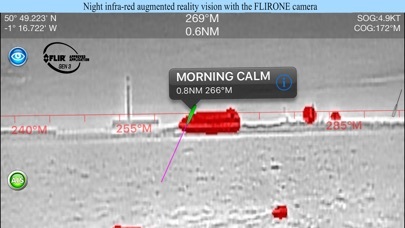 Live Augmented Reality Camera View with ships, compass and horizon overlaid (IAP required) also now with FLIR ONE Infra-red camera support - see ships and people in the dark through fog. Free Apple Watch companion app Boat-to-Boat and Boat to Group Instant Messaging. Local AIS and GPS via Wifi. NOAA US and UKHO UK and IE Marine Charts (IAP required). 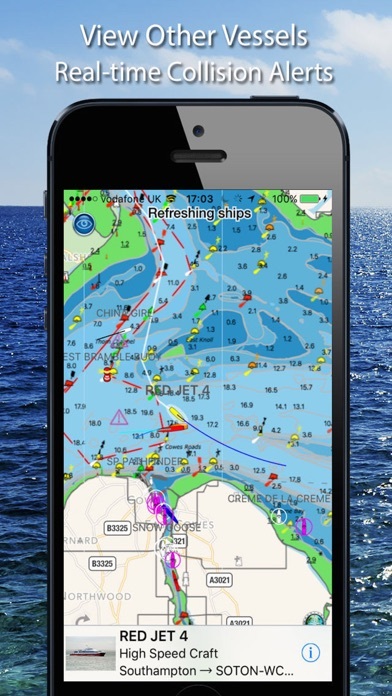 Let Friends and Family see where you are and where you're headed to with our free Boat Watch app or on web-based AIS systems like Marine Traffic which have free web viewers available. Arm all the crews in a race with Boat Beacon and have real time updates on the race positions on the water and back in the club house. Keep a watch and in touch with other boats in your flotilla when sailing in a group. Ideal for busy and popular inland waters, harbours, ports and coastal areas up to 15 miles out to sea. Boat Beacon requires internet access to work. Most popular coastal areas have cellular data access extending 12 or more miles out to sea. Pocket Mariner are committed to providing great customer service and continually improve our apps. If you have any questions please email us via [email protected] and we'll be happy to help. N.B. Boat Beacon is not an AIS transponder. You will not be visible to other ships on their VHF AIS systems. Requirements: ------------- iPhone or iPad with Compass and GPS. Internet connection. Real-time navigation requires a GPS location. iPhone devices and iPads with a cellular modem already have built-in GPS, even if they do not have an active service plan. 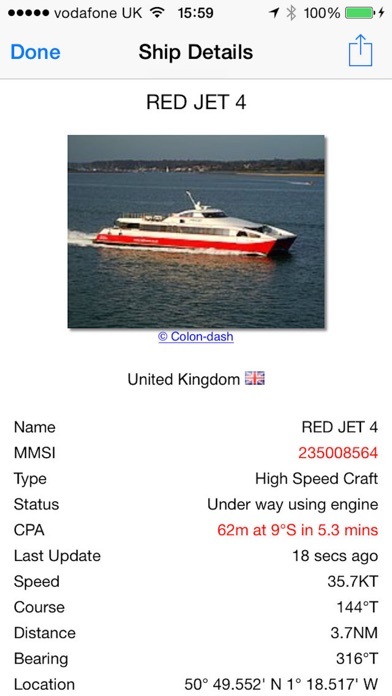 You do not need an MMSI number to use Boat Beacon and you can be seen on Boat Beacon by other Boat Beacon users without one. To be seen on Global AIS systems like MarineTraffic you will need one. In the US you can obtain a free one by visiting http://www.boatus.com/mmsi or email us for an internet MMSI number. Please note that continued use of GPS running in the background can dramatically decrease battery life. NOT FOR NAVIGATION Boat Beacon should only be used for basic navigation reference and should not be solely relied upon to determine precise locations, proximity, distance, or direction.